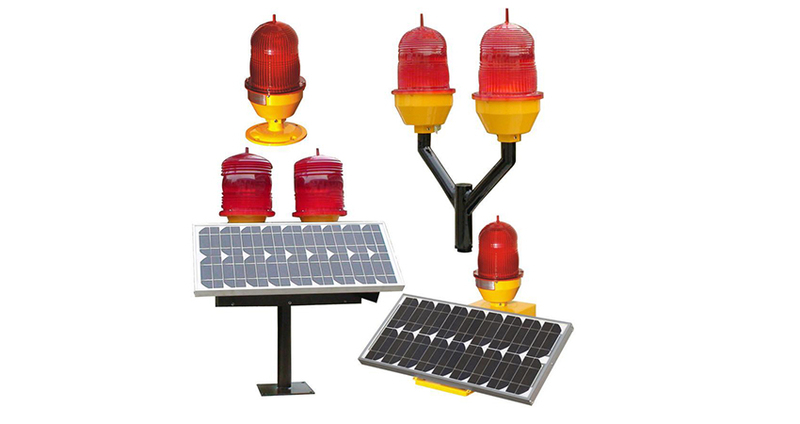 Aircraft warning lights are high-intensity lighting devices that are attached to tall structures and are used as collision avoidance measures. Such devices make structures more visible to passing aircraft and are usually used at night, although they may be used during the day as well. These lights need to be of sufficient brightness in order to be visible for miles around the structure. There are a medium-intensity white strobe and a high-intensity white strobe. Medium-intensity white strobes are usually used on structures that are between 200�500 feet (61-152.4 meters). If a medium white strobe is used on a structure greater than 500 feet (152.4 meters), the structure mustbe painted. The common medium white strobe flashes 40 times in a minute, at an intensity of 20,000 can delas for daytime/twilight, and 2,000 candelas at nighttime.